Hi everyone, today I have a VERY beautiful polish to show you – it’s one that I have had on my wishlist for a LONG time. I recently purchased a number of Zoya nail polishes – if you want to see my haul you can click HERE! 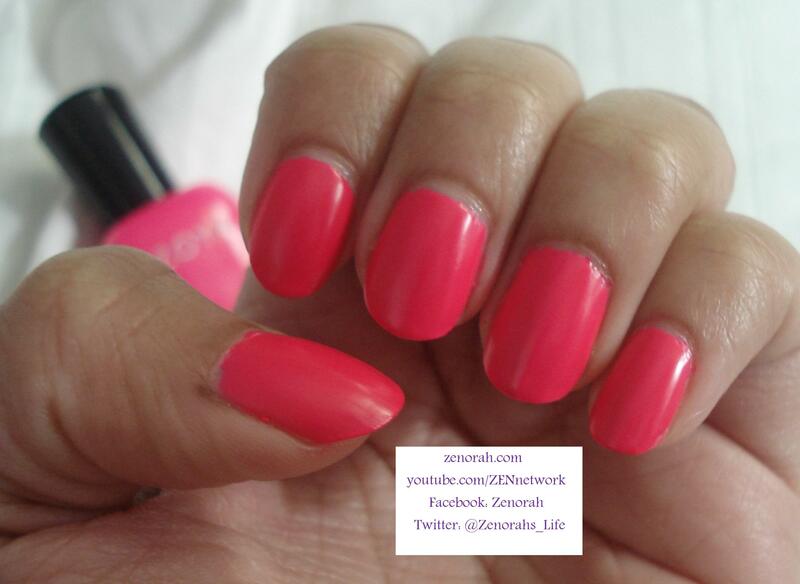 Zoya ‘Layla’ – is a BRIGHT pink NEON with a blue undertone & is a creme/semi-matte polish. This is a permanent shade from Zoya so you can pick this polish up at any time – it is definitely a MUST HAVE from Zoya & I’m kinda upset I didn’t purchase it sooner! 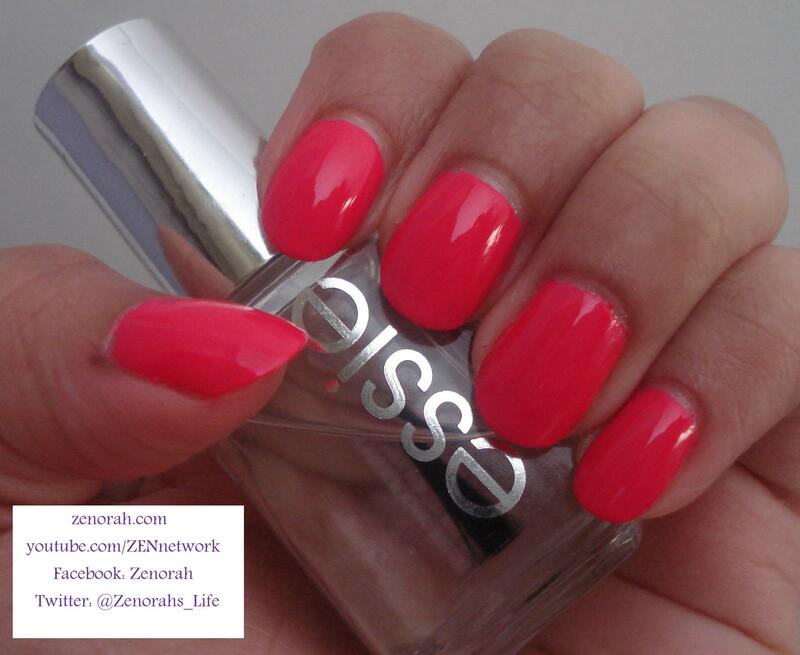 This polish is BRIGHT, perfect for summer and it looks amazing as a manicure & pedicure! Usually I wear China Glaze Flip Flop Fantasy a lot but that has taken a back seat to this polish. I have read on nail polish blogs that it is similar to China Glaze Pool Party which is a polish I have wanted for a long time but I haven`t heard good things of the formula which makes me VERY happy I picked this one instead. At the present time, I am still in a pink polish craze so this polish puts an automatic smile on my face! This photo captures the intense NEON flare in all it`s glory! I love it! It required two coats to be FULLY opaque & dried on average with Zoya polishes. That`s right, a neon that required only TWO COATS!! This manicure lasted about 3 days before I started seeing tip wear but no chips. 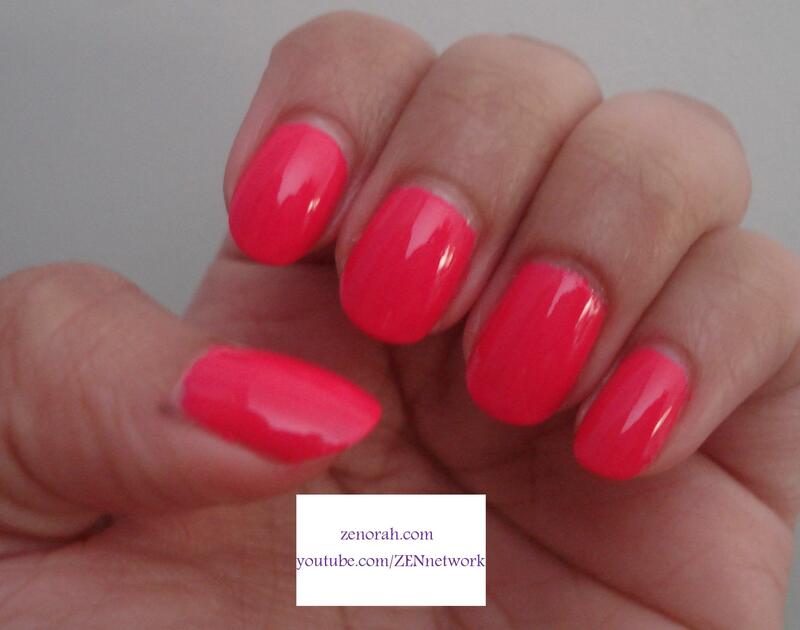 I love how bright and captivating the colour is…now I am on a hunt for more Zoya neons!! My polish dream would be an entire Zoya Summer NEON collection – wouldn`t that be soooo cool!! This is what it looks like when you add a top coat & my favourite at the moment is Essie No Chips Ahead – this stuff is literally rocking my world at the moment! I love it!! it really works! I honestly believe this should be a MUST HAVE polish from Zoya – I have no clue why I haven`t heard much about this polish because it easily makes it`s way onto my Top 10 Zoya Nail Polishes of ALL TIME!! And for being such an unexpected GEM I shall include this polish in a future Giveaway!! Do you own Zoya ‘Layla’? What are your thoughts on this nail polish? Oh this polish is seriously gorgeous!! it can never disappoint you! and that`s huge coming from me bc I am super picky with neon polishes! and no chips ahead is AWESOME!